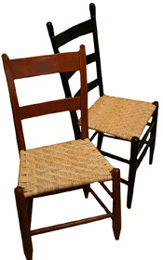 Just wanted to let you know that received the caning kits for two chairs and have finished both of them. I received the shipment very fast and really appreciate it. Even though it was my first time caning, the chairs look great. The instruction booklet was very easy to follow and I had fun doing them. Thank you very much. I think I may have to go find another chair or two to do.”Nancy V.